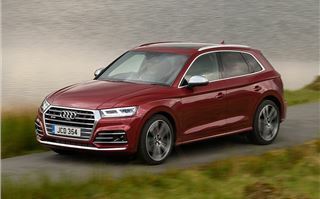 Audi says the new SQ5 will account for one of every five Q5 models sold, despite being the loud, fast and slighyly crazy one. Except it’s not really that crazy at all. 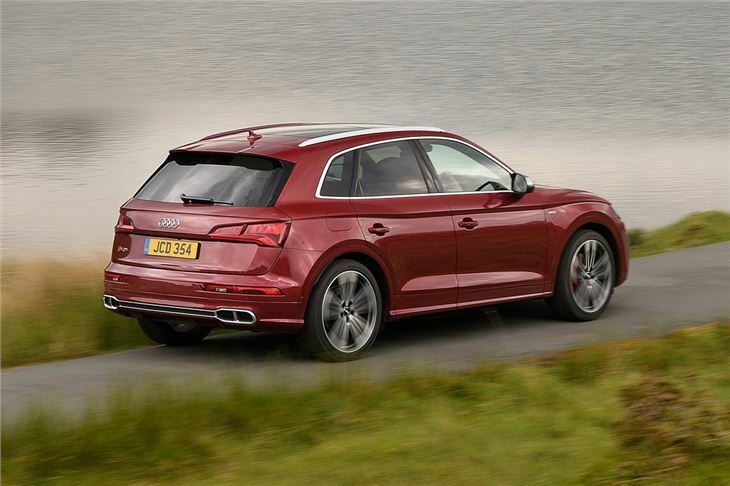 In fact, it’s every bit as comfortable and refined as any other Q5. It just also happens to have a 354PS V6 petrol engine, a meaty exhaust note and a 0-62mph time of 5.4 seconds. And yes – it’s a petrol. 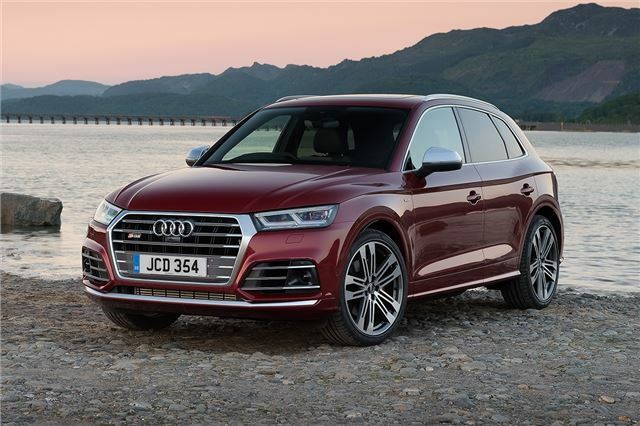 Audi has dropped the old diesel engine and opted for a 3.0-litre turbocharged V6 instead – although a diesel version is coming in 2018. The petrol engine certainly doesn’t leave you wanting for performance – the peak torque figure of 500Nm is available from a little over idle - at 1370rpm - right through to 4500rpm. The result is effortless straight-line performance and incredibly easy overtaking, helped by the smooth, quick-shifting eight-speed Tiptronic transmission. On the downside, fuel economy isn’t particularly impressive, with an official figure of 34mpg on the standard 20-inch alloy wheels or slightly less on the 21-inch wheels. In reality expect much less than 30mpg – way short of the old diesel. Of course, you probably won’t be interested in a luxurious performance SUV with a petrol engine if you’re bothered about economy. Instead you’ll want one because it provides a good balance between quality, practicality and fun. 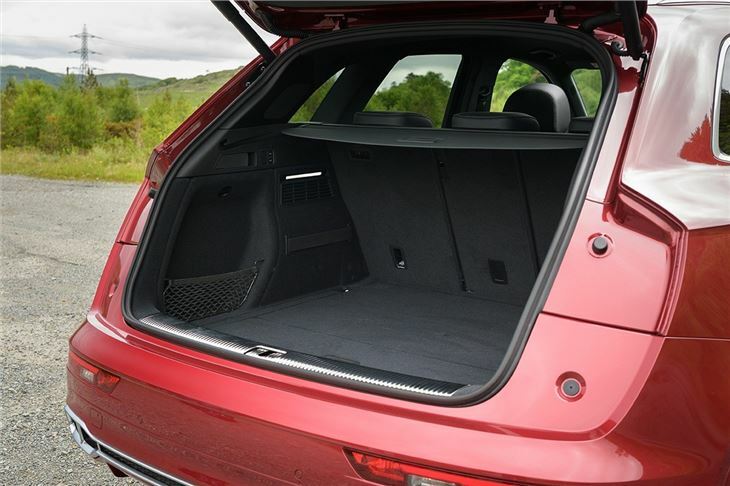 And on the luxury and practicality front the SQ5 really delivers the goods. The interior is impeccably finished. It feels like Audi has refused to cut any corners in the cabin – even the tiny little out-of-sight dial for adjusting the head-up-display is made of metal. Everything looks and feels extremely plush, sturdy and luxurious. Comfort is great too, with loads of adjustment in the supportive front seats. Back-row passengers are well catered for too, with their own ventilation controls, plus plenty of leg and headroom. The boot is big enough for family life, with 550 litres of capacity and a wide, flat load deck. Getting stuff like pushchairs in and out is easy, since there is no load lip to snag things on, plus there’s a power tailgate as standard. Yet, while the SQ5 gets the family car bit of its remit right, it falls a little short when it comes to fun. Sure, it’s very fast, plus it’s exceptionally quiet, smooth and comfortable around town or on the motorway. It sounds good too, with a subtle but very purposeful growl from the exhaust. But on a country road it’s just not all that exciting. 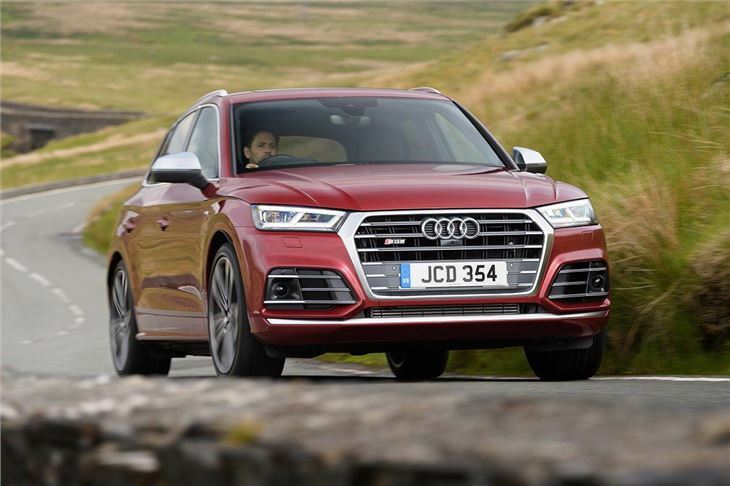 The suspension is firm enough to keep things neat through corners and the quattro all-wheel drive system means there is a huge amount of reassuring grip, but there’s not much in the way of steering feedback, nor a real sense of poise. It just doesn’t do much to make you smile that much. 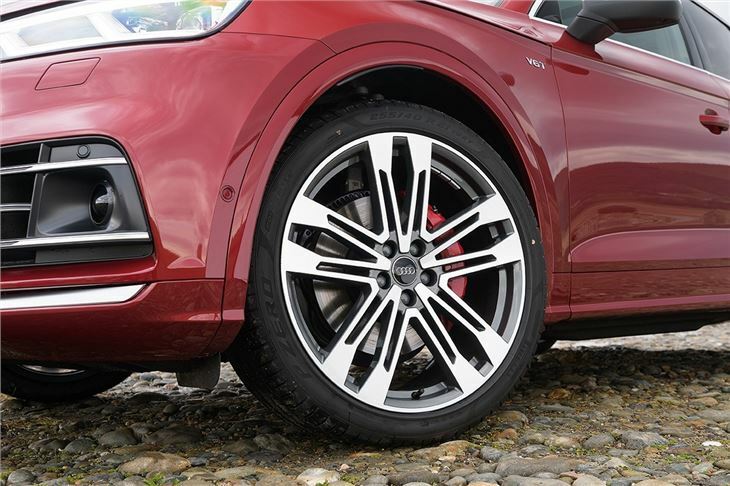 That might be appealing to some drivers, of course – but if you want some theatre and real sporty feel a Porsche Macan more enjoyable – providing surprising nimbleness and a sense of connection that’s missing from the SQ5. 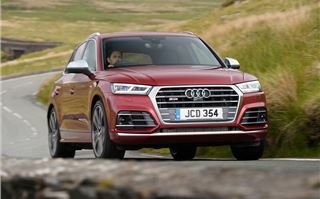 Still, if you spend most of your time either pootling around town or blasting up and down the motorway you’ll struggle to find fault with the SQ5. It’s blend of pace and refinement is really impressive – and it’s available with some useful extras to make long journeys pass without too much boredom or frustration. Unfortunately, while the SQ5 is the best-equipped Q5 model, the best gadgets are still on the options list. Just a couple of desirable extras, like Audi Virtual Cockpit - with its fully-digital instrument binnacle – along with adaptive cruise control that can stop and go automatically, will add £1000 to an already expensive list price of £51,200. 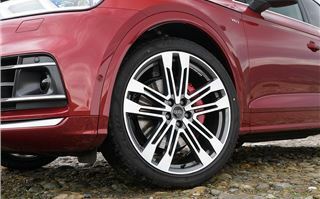 Add in some customisation like metallic paint, an upgraded sound system and 21-inch alloy wheels and the price climbs even further. 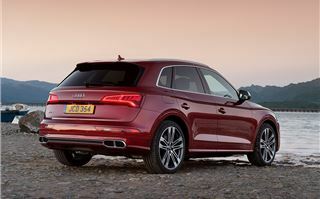 That said, the SQ5 is still a very impressive car, with excellent refinement, strong performance and useful practicality. 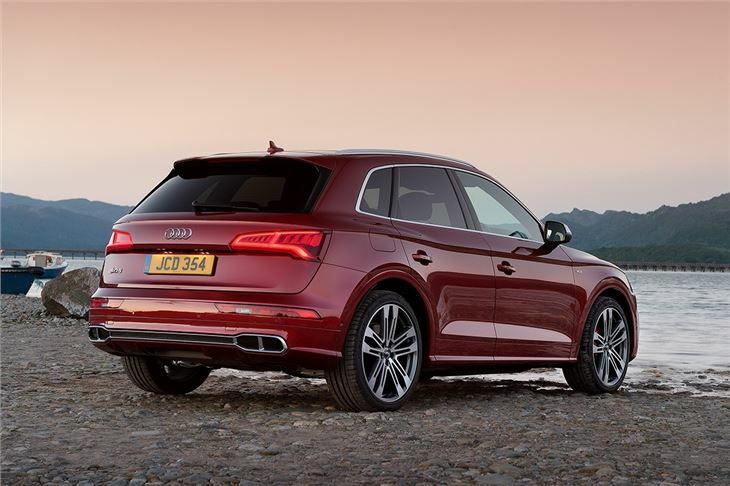 If you want an incredibly accomplished SUV that's lightning fast - the SQ5 is very appealing.